Sumerian Irrigation has the snow removal management experience, the knowledge and resources to handle all your snow removal needs. You'll discover that we take great pride in giving our customers a safe winter environment with outstanding customer service. We have a vast fleet of snow clearing equipment, use the best de-icing products. We offer complete winter services for corporate offices, retail stores, industrial properties, shopping centers, hospitals, health care facilities and more. When you need snow plowing, snow hauling, and other snow clearing services we are ready to attack the snow and ice, cleaning up your parking lots and sidewalks, and salting for ice control. We can push the snow out of your way or remove it from your property. We work for your safety and convenience. Call today to request your free Quote. 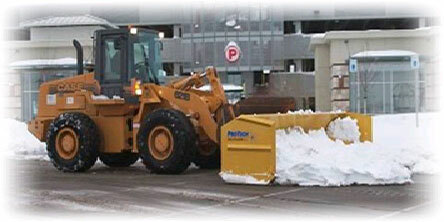 Customized Solution- For your specific snow removal needs.